Powepoint presentation which is bombed with boring texts, inventive instructions, too lengthy research, analyzes too long… will look much better and clearer, and certainly more interesting if you use infographics. Powerpoint infographics through interesting design illustrates the words, numbers and any other information relevant to a topic. People love to look at the photos and images because they are visual creatures, probably you already know that. Bloggers with HubSpot came across the fact that 40 percent of people more respond to visual content that is offered to them than the text. So, take a advantage of this fact. By using infographics in your Powerpoint presentation you will attract a lot more attention, and also easier and faster achieve what you want to say by this presentation. 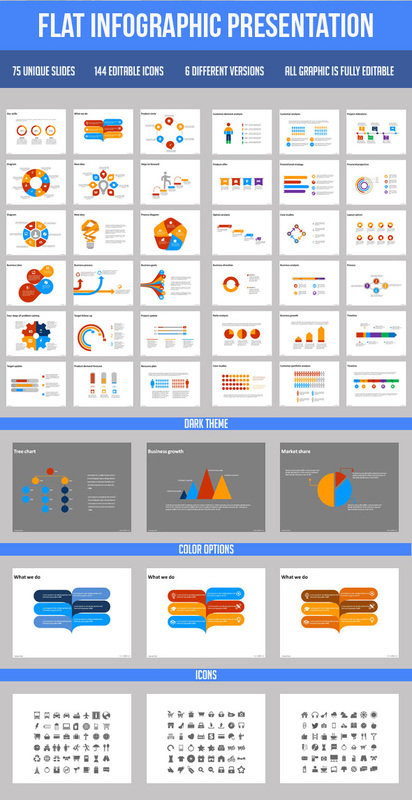 Powerpoint infographics are the best way for a nice, clear and interesting presentation of certain statistical data, analysis, research and more. For those who need modern, simple infographics, charts and icons in their presentations, this template is the one. 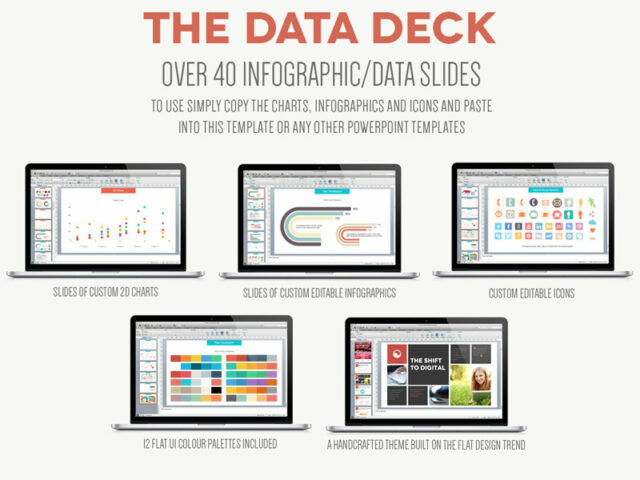 The Data Deck is a handcrafted theme built on the flat design trend. With a tight focus on aesthetics and typography, twelve bright but muted colour schemes and simple icons, it’s easy on the eyes and welcoming. Make the template your own by choosing one of the 12 Flat design colour palettes to easily customise the look and feel of your presentation. Whether you want to use retro, bright and vibrant or a more subdued palette, there’s a colour palette to suit your presentation. With over 40 Infographic/Data Slides from 2D charts to editable infographics and icons, you can use the included Data Visualisation .ppt file as your Swiss Army knife for all your presentations. You don’t have to use them only with the theme in this template, you can also use the charts, infographics and icons in any other Powerpoint template also. Preview and download here. 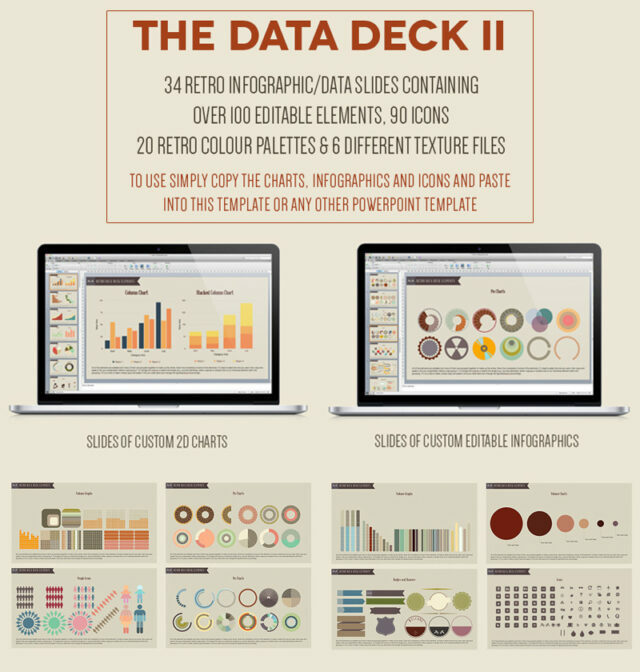 The Retro Data Deck is a handcrafted theme with 34 Infographic/Data Slides from 2D charts to editable infographics and icons. Make any Powerpoint template your own by choosing one of the 20 Retro/Vintage colour palettes and one of the six included texture png files to easily customise the look and feel of your presentation. Whether you want to use bright and vibrant or a more subdued palette, there’s a colour palette and texture to suit your presentation. Preview and download here. Elite Presentation is a clean, versatile, scalable and multipurpose PowerPoint Presentation Template to present your business to potentials clients in a elegant way, Elite Business Presentation has +185 slides of content (portfolios, general information, handmade infographics, data charts, section breaks, maps, tables, timeline etc. ), many layouts options, animations and more. This presentation was made it slide by slide and based on master slides. Preview and download here. Modern Powerpoint Template for your presentation of business or personal use. SHIFT was made with infographic, illustration, SmartArt and other element to show your data, financial, and business process to your beloved client, the content and theme is very suitable for financial industry such a Loan, Audit, Legal, Training, Insurance, Leasing, Trading, and another Industry. All elements are editable from a shape to colors no need another software to edit it, just use a powerpoint, all presentation include an animated slide and transitions, and there is also included dark version iso you can choose which one you like more. Preview and download here. The professional look of “Flat Infographic Presentation” is simple and clean style multi-purpose Infographic presentation template. 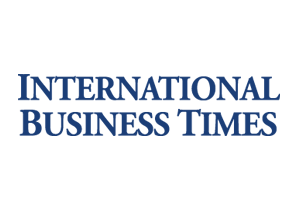 The template is fully editable and easy to use; therefore, feel free to change the object (Diagram, Chart, Graph, Model) color, change the typeface, or move things around as desired. This powerpoint presentation can be used for: Finance, Sales, Social Meida, Marketing, Real Estate, Agency, Annual Report, Data Review, Company Profile. Preview and download here.